Want to sell LeCig? Do you have a "Brick and Mortar" store or are you an online retailer? Become a LeCig Wholeslale Partner and let us show you how to increase your bottom line by selling one of the top brands of ecigs in the market today. Our great flavors and quality products are sure to be a hit with your customers and keep them coming back for more! Get in on this billion dollar industry today. Our LeCig Wholesale Partner program offers high margins and repeat ecig customers. 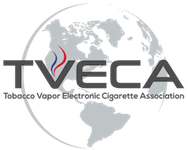 As our Partner you benefit from our capacity to supply wholesale ecig products to your store. We offer a full line of wholesale ecig kits, eliquids and accessories.